Dr. Kostadin Ivanov, Professor and Department Head of Nuclear Engineering, and Dr. Maria Avramova, Associate Professor and Director of Center for Nuclear Power (CNP), are developing ongoing cooperation with South Africa’s nuclear engineering-related institutions. A week-long visit, from March 18 to 22, allowed Drs. Ivanov and Avramova to visit the University of Pretoria and other sites. They presented on NC State’s Nuclear Engineering Department during a research colloquium, organized by the Centre for Nuclear Safety and Security (CNSS). CNSS manages the South African National Nuclear Regulator (NNR). And the CNSS has selected NC State University as an international partner. Ivanov and Avramova also visited the NNR Headquarters in Centurion and presented the seminar, “Cooperation activities between NNR-CNSS, NC State University and University of Michigan on developing a multi-physics computation platform based on U.S. Nuclear Regulatory Commission codes”. The seminar was video-broadcasted to the NNR Office in Cape Town. In the follow-up meeting with representatives of CNSS and NNR the ongoing research program was further expanded. This program will support two South African master’s students at NC State University. In addition, Drs. 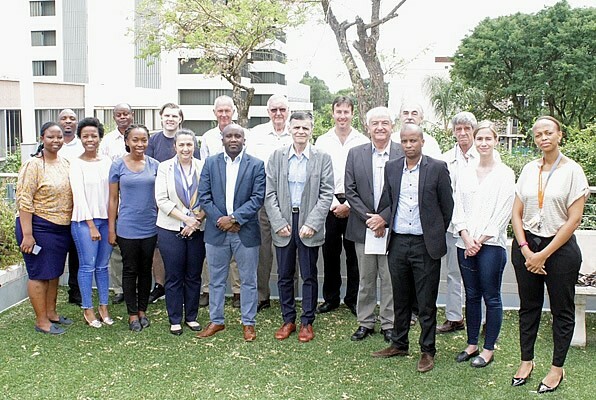 Ivanov and Avramova conducted two days of meetings with the South African Nuclear Energy Corporation (NECSA) on the expansion of a joint research program. NECSA is a member of CTF Users’ Group. This joint research program with NC State University supports doctoral students in areas of joint interest.